Insider Buying for Bank-Owned and MLS Properties - How Can You Be One? Question: How much of an insider do I have to be to buy bank-owned properties before anyone else gets to see them? I see properties on MLS (multiple listing services) for one day that are already under contract- what gives? Answer: For those that have missed out on real estate deals because they were on the ‘outside’, it is understandably frustrating. If you know these tips, you’ll be an insider and get the deals you’re after! Bank-owned properties are often some of the best deals in real estate investment. But many investors complain that they find it very hard to land a deal because it’s already gone before they know about it. One secret to sealing a bank-owned property deal is to find a realtor that can assist you and give you much needed insight. Pre-foreclosure period- this is the time when the bank begins issuing warnings to a defaulting homeowner. Having close communication with the bank’s agent can help you keep tabs on the process so that you’ll be one of the first to know when the home is available. Auction time- you should be the first one to arrive each time an auction of foreclosed homes is announced. At this time you can buy the property at the lowest cost. 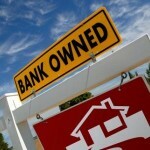 If a proper buyer isn’t found, it will be listed as bank-owned property. Bank-owned real estate listings- most people wait for this stage, but you will often find that the best deals have already been snapped up in earlier stages. However, you can still land a great deal if you check the listings regularly. You should also be on the lookout for publications on foreclosed properties so that you can keep updated on newly listed properties and ones that have recently come back up for grabs. The best resource for foreclosure listings is the internet. Check the bank’s official websites for listings regularly. Consider establishing contact with a bank-owned property real estate agent to advise you accordingly on the best deals. The agent will also help you make an offer to the bank that they will hopefully find “too good” to reject. Many residential real estate investment deals are gone before they are ever listed on a public MLS. Expert RE investors say that this happens because real estate agents often pocket these listings and then hold off from listing them. Despite this happening, many others are still able to land great real estate deals from MLS. Since not all of us are RE brokers, here is some insight into getting these deals. You need to look for the owners rather than the deals, and focus on those owners who need to sell rather than those who want to sell. Typically, real estate owners who are willing to sell their property at 60 percent or less of its original value never get a chance to list it because it is sold immediately. You also need to know exact keywords to search for that will generate targeted search results of the best deals. Some great keywords for MLS include: tenant occupied, estate sale, military family, needs work, must sell, vacant, third-party approval required and fixer-upper among others. Finding a motivated seller often means more savings for the buyer. As a simple tip to keep in mind, remember that the longer a property has stayed on MLS, the more motivated the seller will be.